The collection consists chiefly of materials relating to Halpern's tenure at Electro-Chemical Engraving Company, including company reports and inter-company memos, advertisements for products, and other materials related to the business. Of singular importance is Halpern's memoir, which intertwines his personal history with that of the company during the nearly five decades he was associated with the business. Sadie and Abraham Halpern immigrated to the United States from Europe at the end of the nineteenth century. The couple met and married in New York City in 1900, and their first of four sons, Carl, was born in 1902. Five years later the young family moved to the the Bronx where Halpern attended school. By the end of elementary school, Carl began working at a number of different jobs including shoe salesman and accounting clerk before landing a job as an office boy in 1917 at Hauserman Metal Manufacturing Company, a predecessor to Electro-Chemical Engraving Company Incorporated. This job would prove to shape the rest of Halpern's life--both professionally and socially--as he rose from errand boy with little formal education to Vice-President of the company at the time of his retirement in 1964. During his early years at Electro-Chemical, Halpern returned to school in the evenings in order to earn his high school diploma. Later he attended City College and the Mechanics Institute in New York City where he learned mechanical drafting, blueprint making, and techniques for metal tooling and tool making. Always eager to acquire new skills, Halpern continued to take on additional resposilbities at Elctro-Chemical and over time he assumed a leadership role at the company. 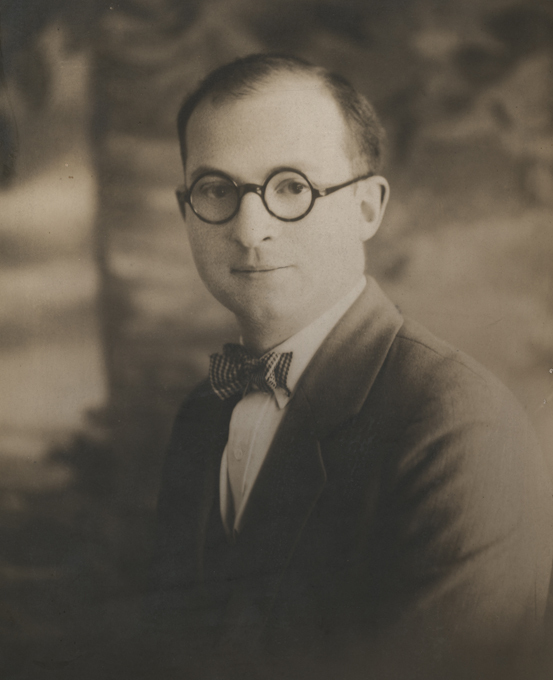 Carl Halpern met his wife Nettie in 1924 at the wedding of his secretary and they were married the following year. The couple had two children: Joel in 1929 and Helen in 1938. After his retirement, Halpern wrote an incredibly detailed memoir tracing both his personal history as well as the history of the Electro-Chemical Engraving Company. Carl Halpern passed away in early 1986. The bulk of the collection relates to Carl Halpern's nearly fifty-year long association with the Electro-Chemical Engraving Company. Included in these materials are internal communications, reports, such as the General Survey of Manufacturing Facilities (c.1954), and company advertisements. Halpern's memoir provides the most detailed picture of the company's operation over several decades. In it he records memories of staff who worked at the company, different types of equipment the company used and purchased, and changes in the company and its culture. Related to the memoir are biographical pieces on Carl and Nettie Halpern, an article in The Bronx County Historical Society Journal about Carl's early employment, and some personal correspondence. Issues of the publication containing articles by Carl Halpern and his son Joel Halpern, recording memories of childhood, family, and his career at Electro-Chemical Engraving Co.
Interview conducted in 1976; transcript typed in 1981. See photocopies of the testimonial dinner photographs. Includes appendices, which feature a copy of the payroll from the Electro-Chemical Engraving Co., ca. 1950s. Halpern, Joel M.: Letters: research, Electro-Chemical Engraving Co.
Halpern, Joel M.: research, Electro-Chemical Engraving Co.
Notes recorded in 1965, typed in 1981. See interview transcript for background on images of Carl Halpern's testimonial dinner. Acquired from Joel M. Halpen. Processed by Jason Fuller, September 2013. Cite as: Carl Halpern Papers (MS 783). Special Collections and University Archives, University of Massachusetts Amherst Libraries.